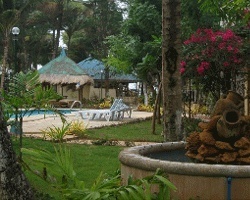 At *Laguna De Boracay*, you will be in your own private back-to nature village where everything is tranquil, sweet and slow. This bow-tie shaped island, rimmed by towering coconut trees and fine white-sand beaches, offers a restful escape from the hustle and bustle of the everyday world. Bask in the wonderful warmth of the tropics, or relax in the temperate climate of the island. The adventurous can go island hopping, visit a bat cave, trek round the island, try horseback riding, gather puka shells, fish, dive or snorkel. 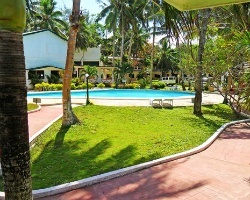 The famous powdery-sand White Beach lies along the western part, opposite this resort. Divers, boaters & beach lovers rejoice! Yearly in February week 8! RTU until 2030! Buyer may receive a title fee credit; inquire for details! 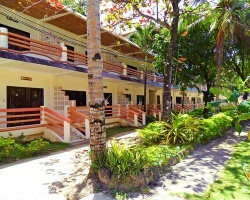 Newly renovated, self-contained resort with private beach! RED SEASON!!! Make an offer!